OUR restaurantDrop by or give us a call. We look forward to feeding you. 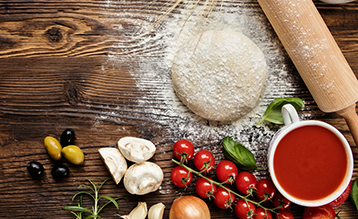 For over four decades our family have been kneading dough, simmering sauces and chopping the freshest ingredients while supplying the residents of Cambridge with authentic flavours of Old Italy. 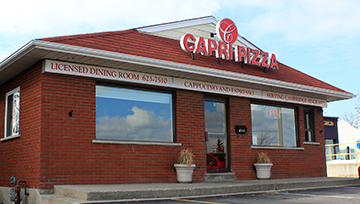 Our vision began in 1972 on Elgin Street, but by 1984 the demand for a more visible and family friendly location presented itself. The move to our current location on Dundas Street proved to be a wise decision. Here we’ve created a casual homey atmosphere with seating for about 25. Our family friendly environment is complete with big screen TV to entertain you while you chat over some of our finest Italian dishes. 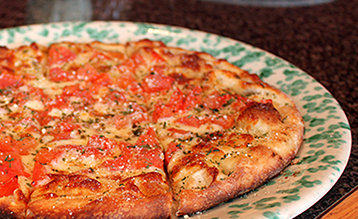 We use fresh toppings and genuine mozzarella cheese layered on a made from scratch authentic Italian pizza pie dough. Even after 40 years we remain committed to making our dough daily by hand. 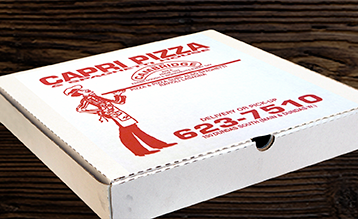 We’re well known in our community for authentic style pizza. Our customers also love our lasagna, ravioli and spaghetti all made with the freshest ingredients from original recipes. The success of our restaurant stems from our commitment to providing only the very best food, treating our customers the way we would want to be treated and staying true to the recipes that have been passed down through our family over the years. Vegetarian tomato sauce available upon request. Includes cheese and sauce. Additional items available. Includes basic cheese and sauce. Additional items available. Small 10" - Medium 12" - Large 14" - Party 16"